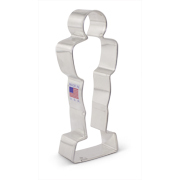 And the award for best cookie cutter goes to *dramatic pause* the 5 inch Award Statue/Mummy cookie cutter! 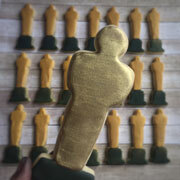 Break this out for an Oscars viewing party or for other awards ceremonies, or use it for mummy Halloween treats! 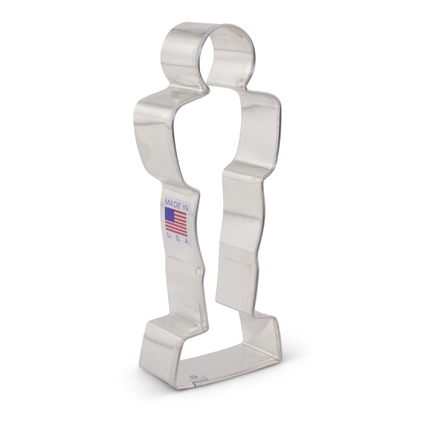 Just like a real Academy Award, it should never be put in the dishwasher. Cookies decorated by Party Majors. 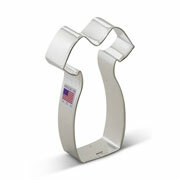 Size: 5" x 1 7/8"
Love it! We had fun with this one. 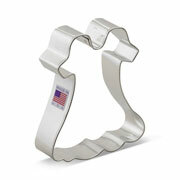 I love this cutter. 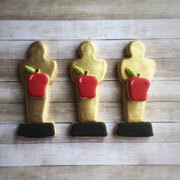 Just used it to make cookies for Oscar night. Can't wait to decorate them. 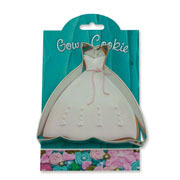 Cutter is great like all the other cutters I've purchased from Ann Clark Cookie Cutters. 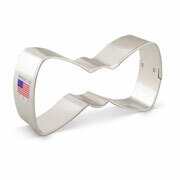 Buy this cutter, you won't be disappointed!